Thanks Aleks for the help with editing, Tone for running around town with me. Re Yospiff:"Looking forward to finding out exactly what this is." This is the front of a sailboat at the docks, flipped upside down. 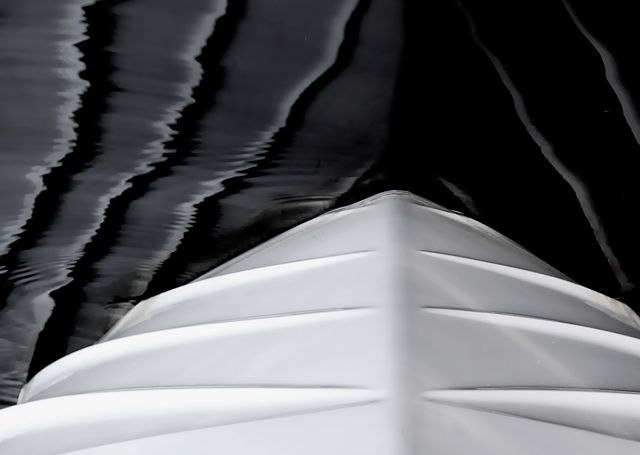 The lines on black are waves in the water reflecting light, the lines on white are on the boat. Awesome! Welcome to DPC!! Oh yeah, I think Aleks meant career... he's not the greatest of speelers. Kind of neat looking. A touch dark in the upper right, but it's interesting to look at. Looking forward to finding out exactly what this is. Proudly hosted by Sargasso Networks. Current Server Time: 04/24/2019 05:49:55 AM EDT.